Memorial Day has passed and thoughts of sipping iced coffee in my backyard while the kids romp around have been lurking in my mind. 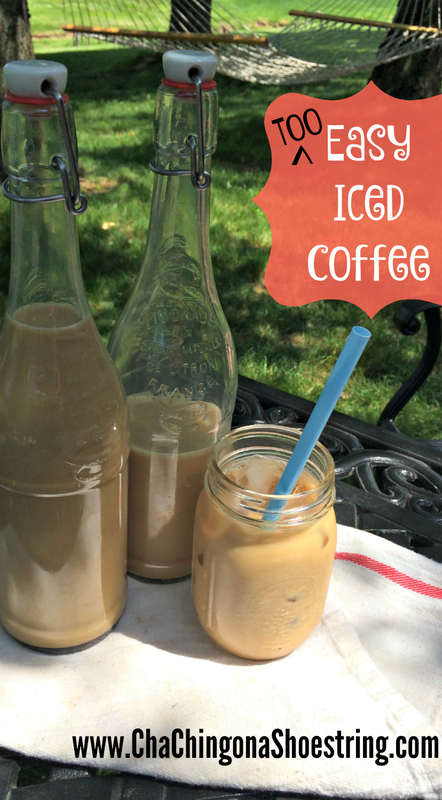 I decided today was the perfect morning to get back to my favorite (and MOST easy) iced coffee recipe. Here are the ingredients – are you ready? 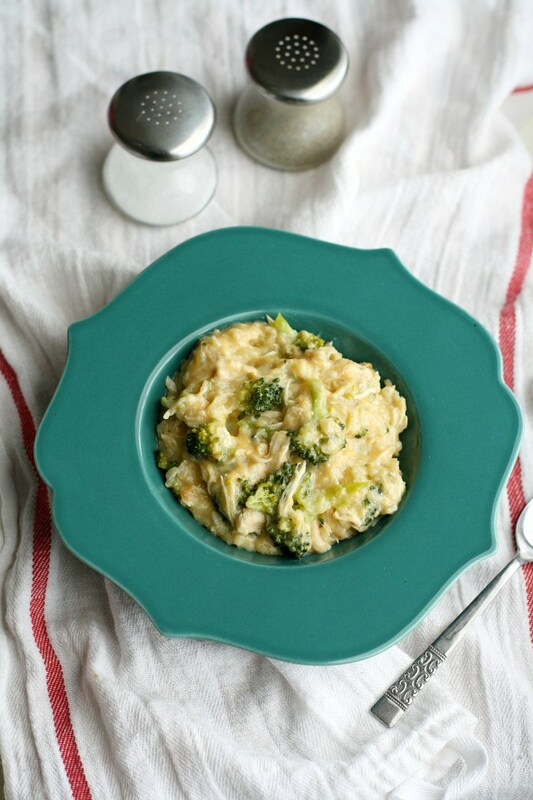 This recipe takes all the guess work out of the process and makes it a cinch to whip up! 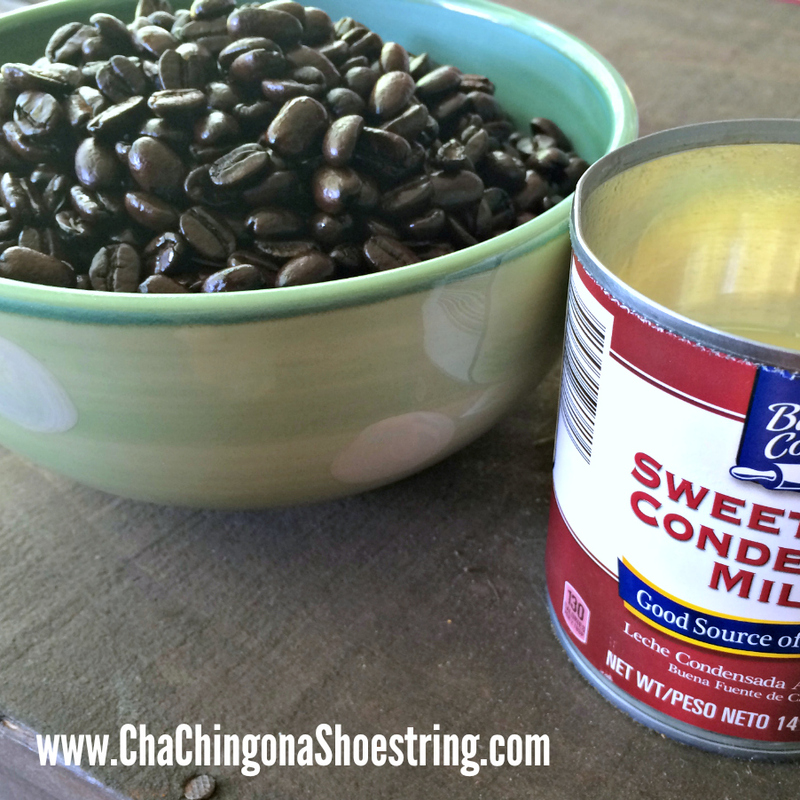 This recipe is so easy to adjust for individual preferences – just increase or decrease the sweetened condensed milk to coffee ratio depending on your taste! 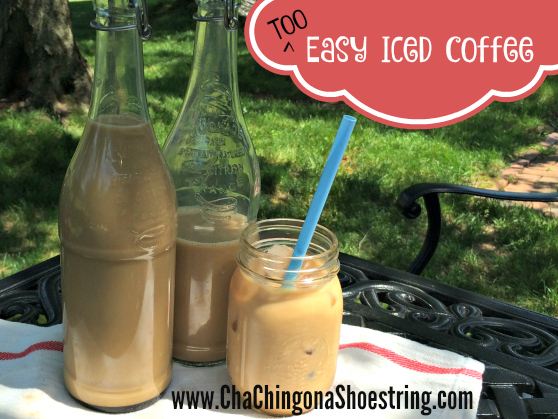 Now invite some friends over, pour your iced coffee, chat and let the kids ROMP! We eat a lot of chicken in our house. I’m sure that can be said of many families – especially those of us with kids. 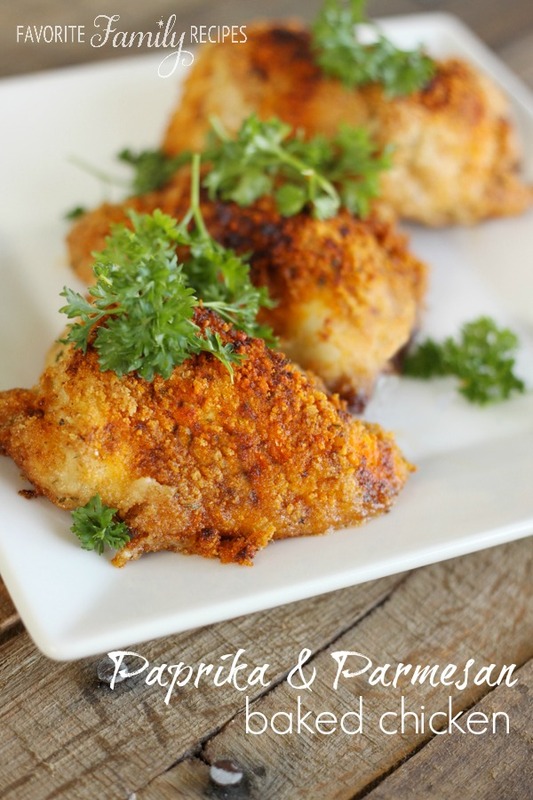 But I get tired of baked chicken and I never want dinner to get old and boring, so here are five of my top chicken recipes. These are always on my monthly rotation because the recipes are all SO easy and the kids love every one of them – three cheers for that!! And there you have it. 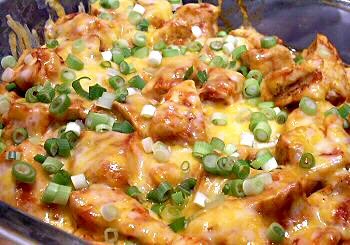 Five amazing chicken meals that no one will be bored with and will leave your family begging for more. If your kids are jumping up and down when you tell them what’s for dinner then you know you’re doing something right! 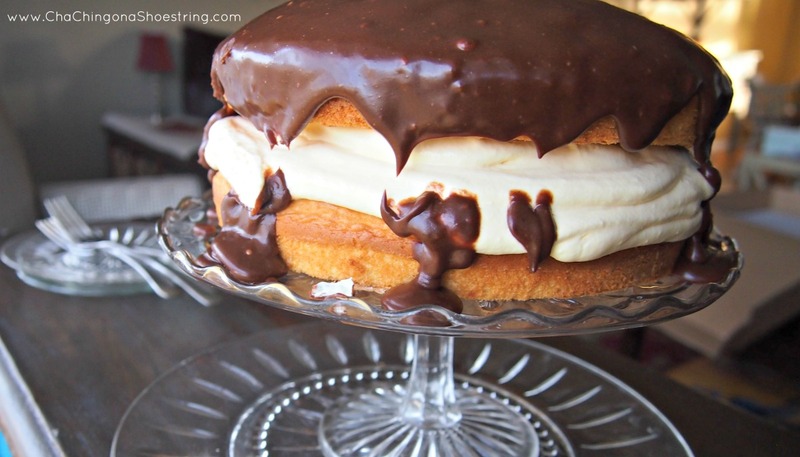 The Best Boston Cream Cake. Ever. You guys. This cake. Oh my. 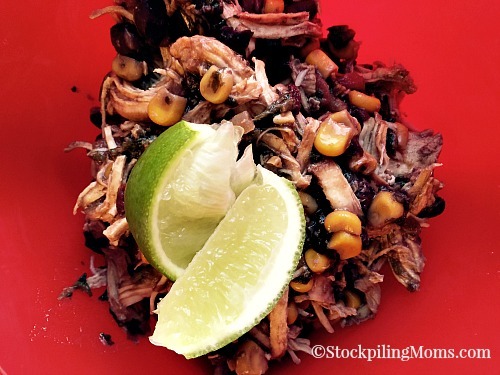 I keep trying to find the words to describe just how much I love this newly-discovered recipe. But all that I can muster is two words at a time. I shared a sneak peek of this cake in my last Merry Little Living Project newsletter and several of you begged for the recipe. Here’s what I love about this cake. It’s easy enough that I whipped one up on a Tuesday. Who makes a fancy dessert on a Tuesday night? And then again on a Friday, a Saturday and I believe there was a Monday in the mix too. Let’s just say that I earned brownie Boston Cream points with my kids, my husband, grandparents, siblings and whoever else happened to stop by. It was a good month. I want you to have a good month too! In fact, this might set you up for a good year! 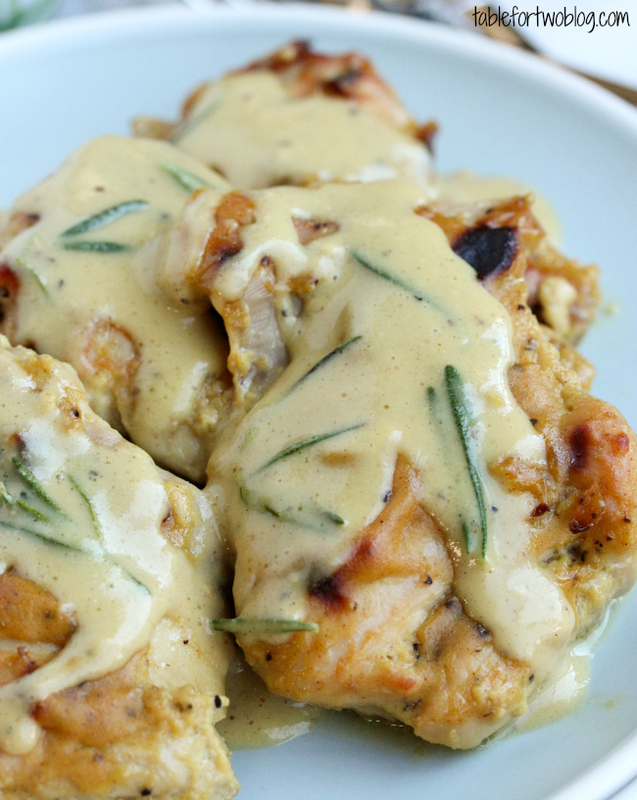 The secret is in the sauce – err, the glaze. I doubled the original recipe because less is not always more, especially when cakes are involved. I LOVE how thick the middle layer is. It makes other more thinly layered Boston Cream cakes envious. 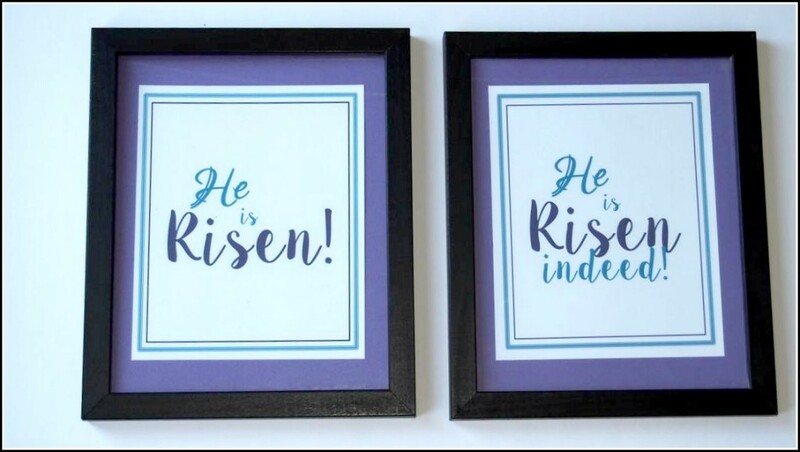 Which reminds me, which is it? 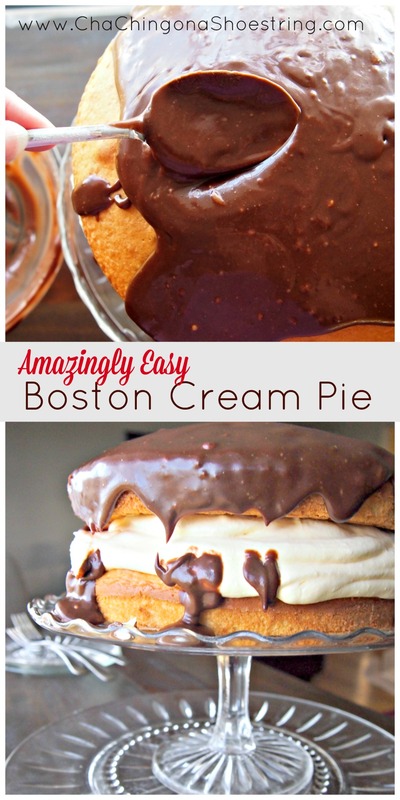 Boston Cream Cake or Boston Cream Pie? It seems the favored title is Pie, but considering the fact that this is most definitely a Cake, this deeply confuses me. 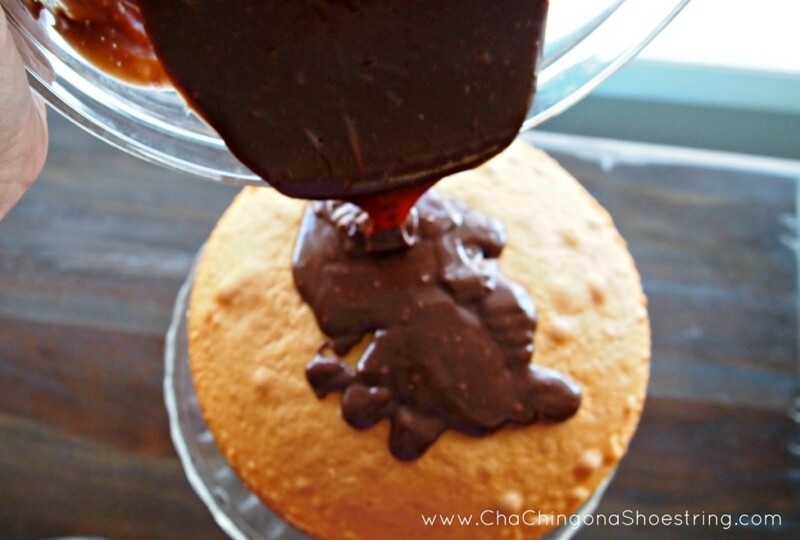 You’ll likely want to place some kind of pan underneath your cake dish when you pour the glaze on top, as its sweet chocolatey goodness will ooze all over your countertop. Or you can just use your fingers to scrape it off the counter. And then, of course, you’ll need to clean your fingers. I’ll leave that up to you how to accomplish that task. Ahem. Beat 1 cup of milk and pudding mix with a whisk or mixer for 2 minutes. Gently fold in whipped cream. Let stand 5 minutes. 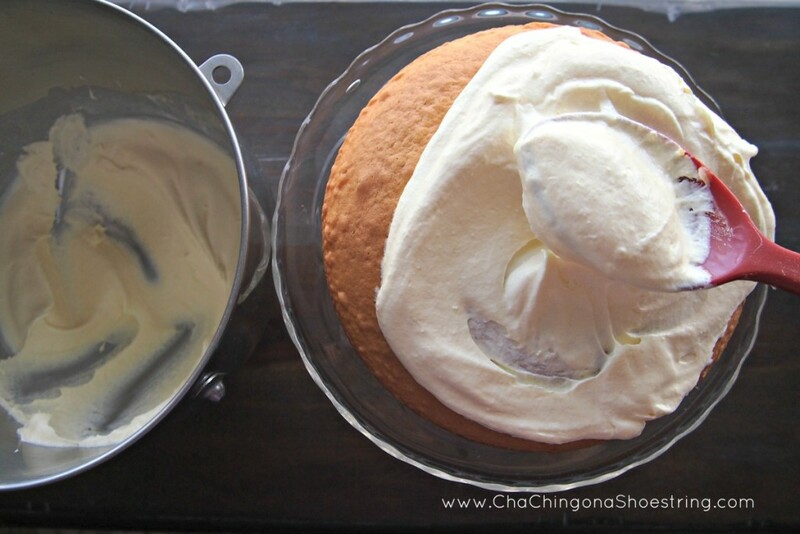 Place one cake on serving plate, spread pudding mixture on top, then top off with second cake. 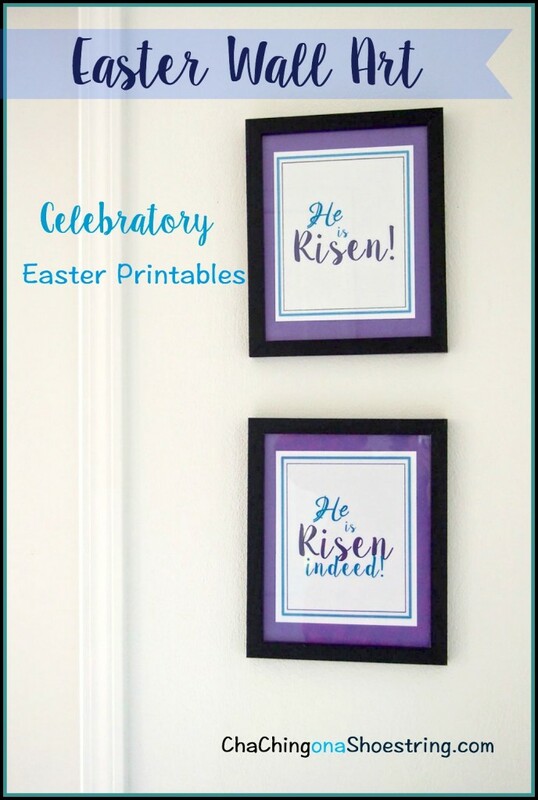 I’m happy to be sharing another post from my friend Elizabeth. She is a truly gifted hostess and is sharing one of her secrets to keeping things simple when it comes to dessert. I can’t wait to give these a try! When Kaley asked if I had any simple dessert recipes to share, I immediately thought of these deliciously easy Triple Layer Cookie Bars that I have made over and over through the years. My friend passed on the recipe after she brought them to a camping trip years ago and we all loved them! 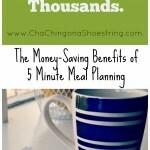 They have come in handy so many times when I need a quick dessert or snack. 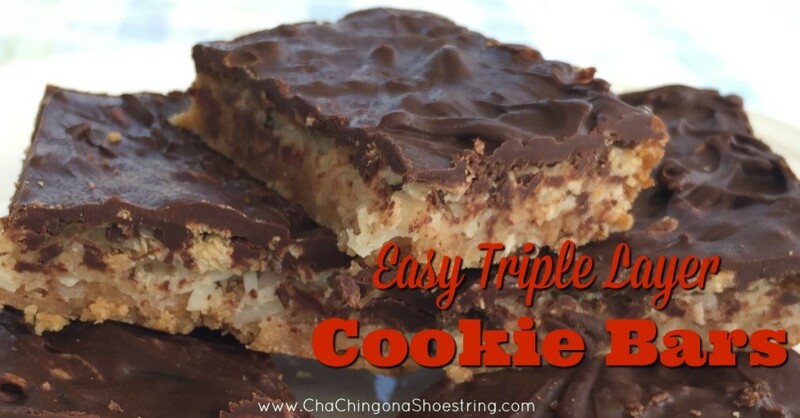 I love that, with only six ingredients, these cookie bars are so easy that I can even ask one of my older kids to make them for me. 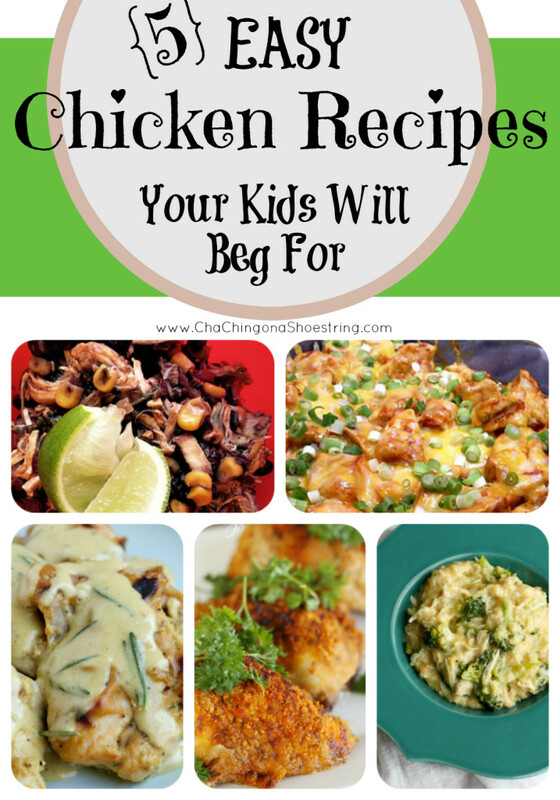 My little kids love to help with this recipe too. The first layer is crushed graham crackers. I put the graham crackers in a ziploc bag and then the kids love to use a rolling pin to smash them into crumbs. I always buy the ingredients at ALDI, which also makes this a dessert on the cheap. At only $0.15 per serving, I can afford to whip these up any time! 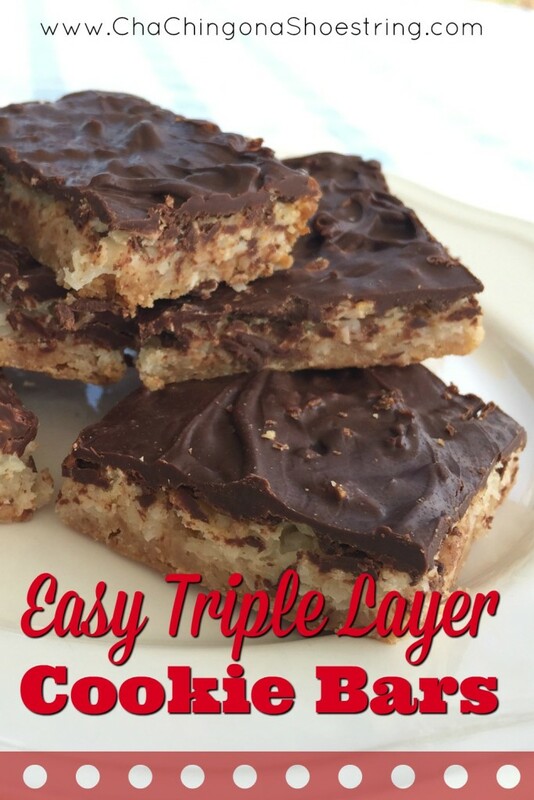 This recipe makes about 3 dozen bars. Enjoy! Preheat oven to 350. Place stick of butter in a 9 x 13 pan and place in the oven to melt. When the butter is melted, stir in the crushed graham crackers. Pat down with a spoon or your hands to make an even layer. Sprinkle coconut evenly on top of graham crackers. Drizzle sweetened condensed milk over the coconut in an even layer. Bake in oven for about 20 minutes or until lightly browned. Meanwhile, stir chocolate chips and peanut butter in a saucepan to melt. 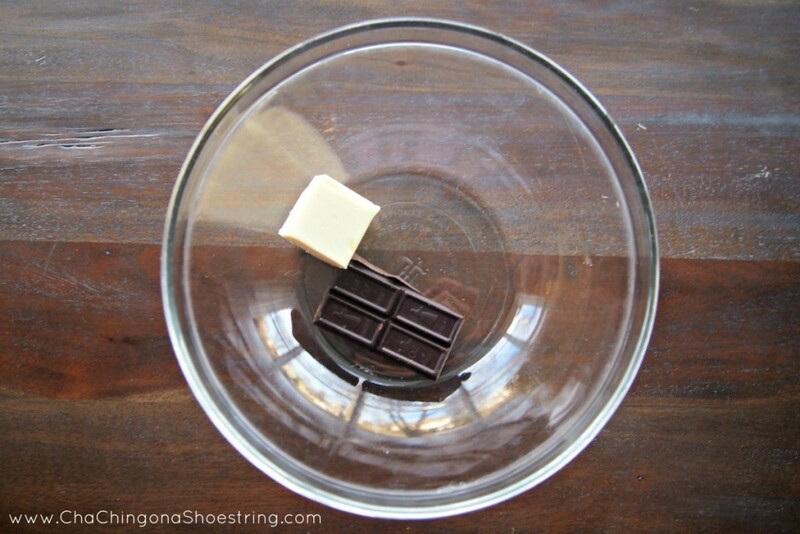 Remove bars from oven and pour melted chocolate mixture evenly over the top while the bars are still warm. Allow to cool in the refrigerator. Cut into bars and serve. Enough of that silliness. Let’s talk about Monthly Missions! 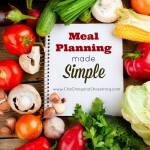 What is one way I can simplify life this month? 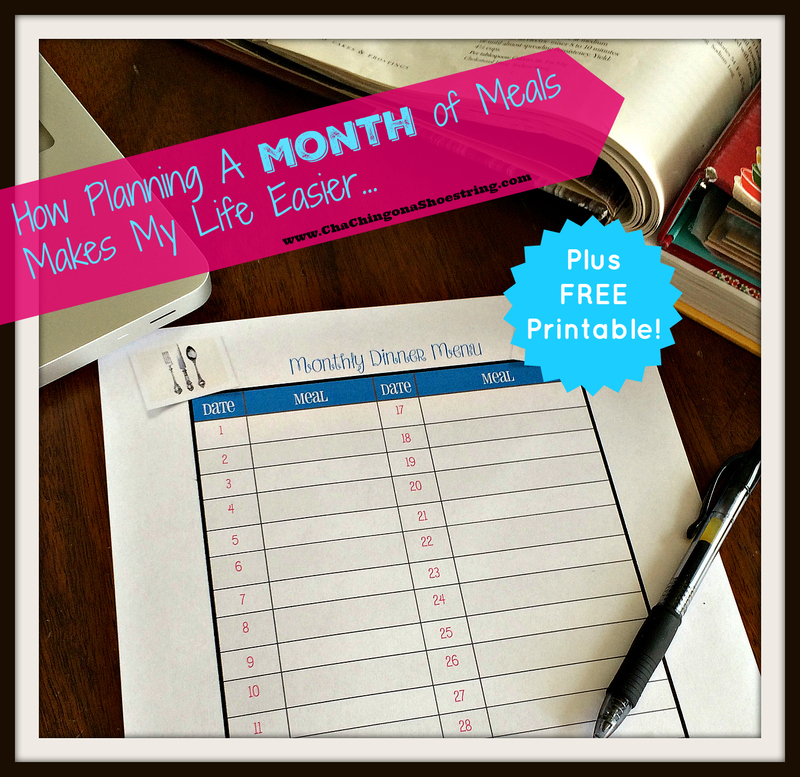 What is one way I can practice a healthy habit this month? 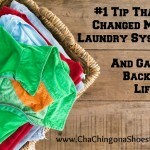 What is one way I can organize life this month? 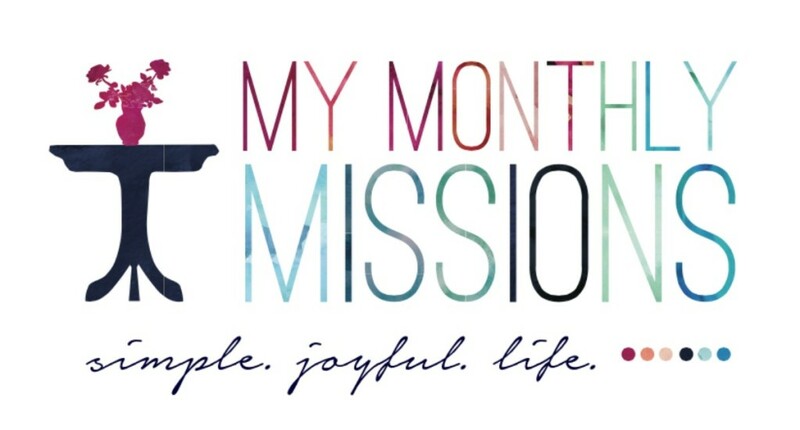 What is one way I can bring joy to life this month? 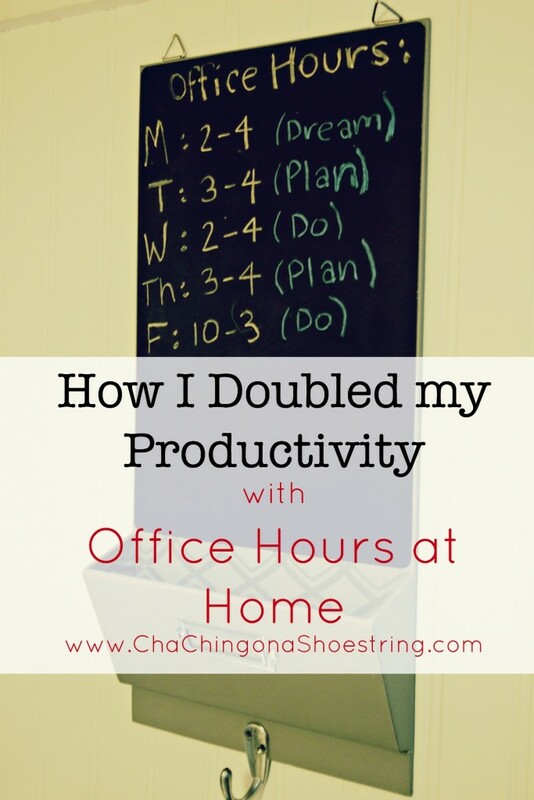 I set up Office Hours at home and doubled my productivity. I am LOVING my new system! I am enjoying the Brene Brown books I received for Christmas. 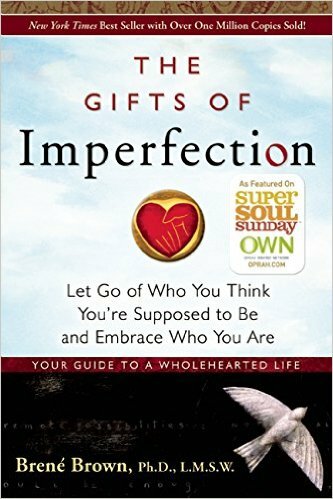 I finished The Gifts of Imperfection this month and have been thinking a great deal about how my image of “who I should be” has damaged my ability to simply be me. I’m working hard on changing this mindset and her book helped solidify my desire to do so. 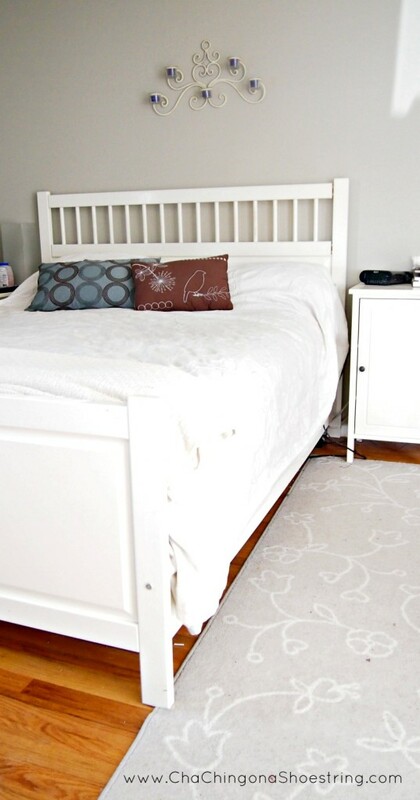 I decided it was time to hop back on the “Making-My-Bed-Everyday” bandwagon. Every time I do this, I wonder why I ever stop? It’s a habit that only takes a minute, but really can change the whole feel of a room and start the day off on the right note. Because the world needs more pictures of tattooed three year olds writing xo on all their Valentines. What are YOUR Monthly Missions for March? I’ve been really happy with this new strategy for planning simplicity and joy into my life and I’d love for you to join me. 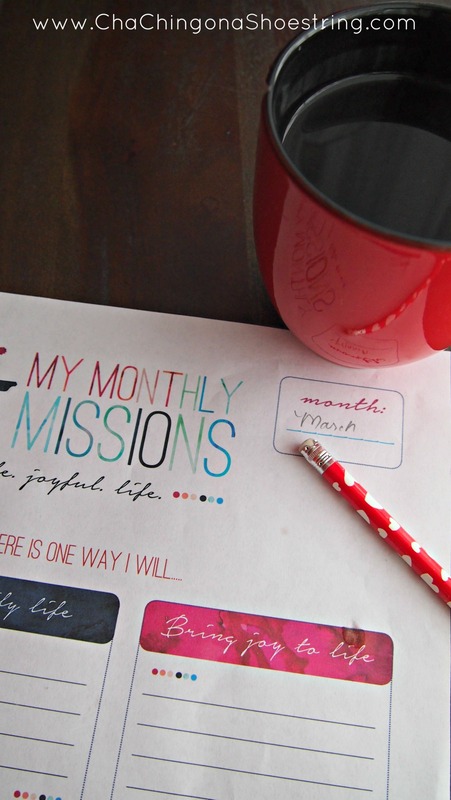 If you sign up for the Merry Little Living Project email newsletter, you’ll receive a free printable Monthly Missions planner in your inbox right away. 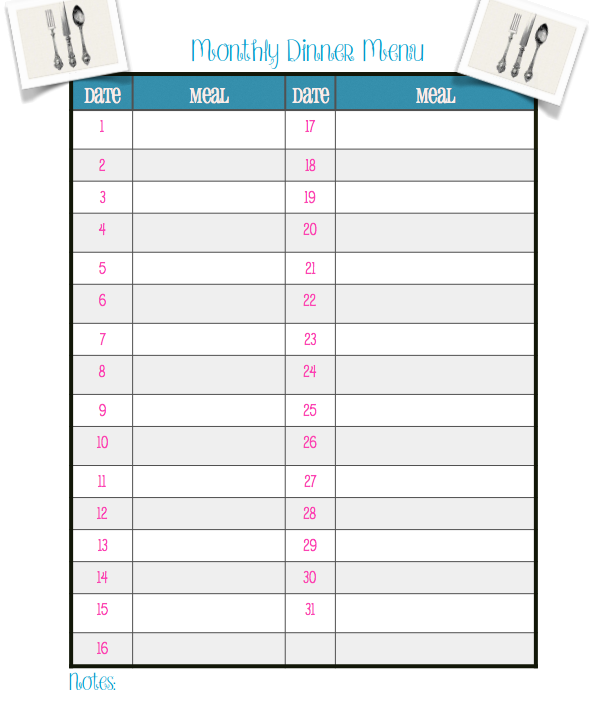 Then sometime in the next few days, grab your printable, a cup of coffee and a pencil and map out your missions for the month. And then – if you’d like a little bit of accountability – share your missions in the comment below or send me an email. Let’s help each other celebrate Simple, Joyful Life! 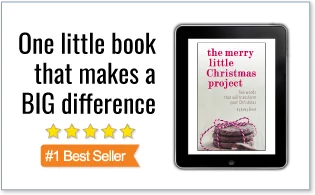 I’ll be sharing what my missions are this month in my Merry Little Living Project newsletter so be sure to click here to sign up if you haven’t yet! Most days, I love being a blogger. I often call it my dream job. But working from home has its share of complications, particularly when it comes to balancing work/family life. It’s very easy to allow work time to creep into family time or vice versa when your family space is the same as your work space. Over the last year, I allowed myself to set up my work space right smack dab in the middle of our living room on the couch. While it’s lovely that this is an option for me, it’s also a really terrible productivity plan. I also use that same space for reading, hanging out with my kids, people-watching through our picture window, even occasionally putting my feet up and taking a nap. So over the course of the year, my work/family/personal time all sort of seemed to flow together without any real structure. At the end of the day, I often couldn’t tell you exactly what I had accomplished that day. 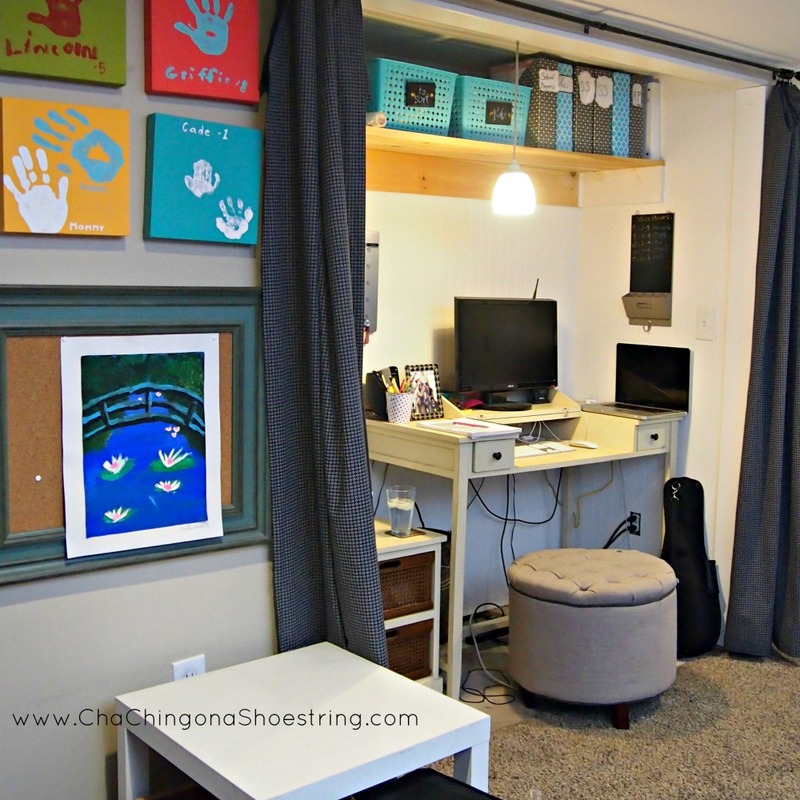 The crazy thing about this situation is that I have a lovely closet office space that my cousin, my husband and I DIY’ed together a few years ago. My closet-turned-office space (also my new ukulele – a birthday gift that I fully intend to learn to play this year – not during my office hours though. Of course.). This fun little nook stayed mostly vacant over the course of the past year. Poor thing. Last month, one of my monthly missions was to try to set up a simpler schedule for my blogging hours. I knew that my productivity could increase if I had set hours that I worked each day rather than the haphazard daily schedule I’d been keeping. In order to accomplish this task, I knew something had to change in my work environment. So my first step was to reclaim my closet office in order to have a location where I “report to work” every day. Yes, I may show up in my yoga pants, but let’s just keep that between you and me, shall we? Then, my next step was to set up my office hours. I am grateful to say that my 3 year old son still takes a nap each day (knock on all.the.wood.). So it made sense that I should structure my work hours around his nap. He also goes to pre-school three mornings a week, but I decided to keep that time open for running errands, visiting with friends, playing my ukulele or people-watching out my picture window. You just never know what important task a day might bring. I gave myself pretty limited hours because I wanted to force myself to really focus during those times, I also decided to write down a guideline for each day as to what I hoped to accomplish. I am a bit of a free spirit, so giving myself too much structure usually backfires. However, I’m also a dreamer, so if left to myself, I would spend 9/10 of my week dreaming about the next Big Thing I hoped to accomplish and then the last 1/10 trying to accomplish it. It’s a struggle being my brain sometimes. So I hung a chalkboard up in my office and I scratched out my office hours for the week and what I intend to do with them. You guys. I am in LOVE with my new system. After almost 7 years of being a blogger, I feel like I have *finally* found my groove. Is it a fool-proof system? No. Do my hours occasionally still run into each other? Yep. But my productivity is better than it’s been in years and at the end of a week, I feel a much greater sense of accomplishment than I can remember in a long time. This is not only due to the time I’ve set aside to work, but the time that I’ve set aside for NOT working. I also feel strongly that by actually physically writing down my office hours and posting them on my wall (and on the internet) for all to see, I’ve created an accountability that’s been missing from my work-by-myself-no-one-knows-but-me office environment. I’ve tried many time though the years to have set times each day that I would work, but never actually posted those hours anywhere. It’s totally out there for the world to see, so I have to stick with it now! It’s likely that my schedule will need to be tweaked from time to time, but for now I love how my new system works for me! How about you? 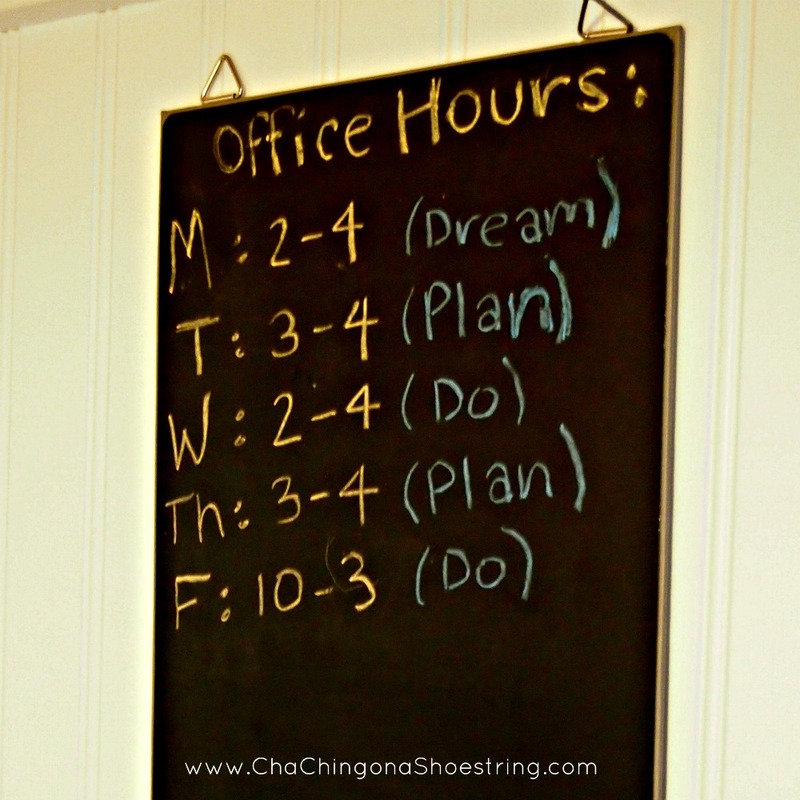 Have you ever tried to establish office hours in your home? How does that work for you?